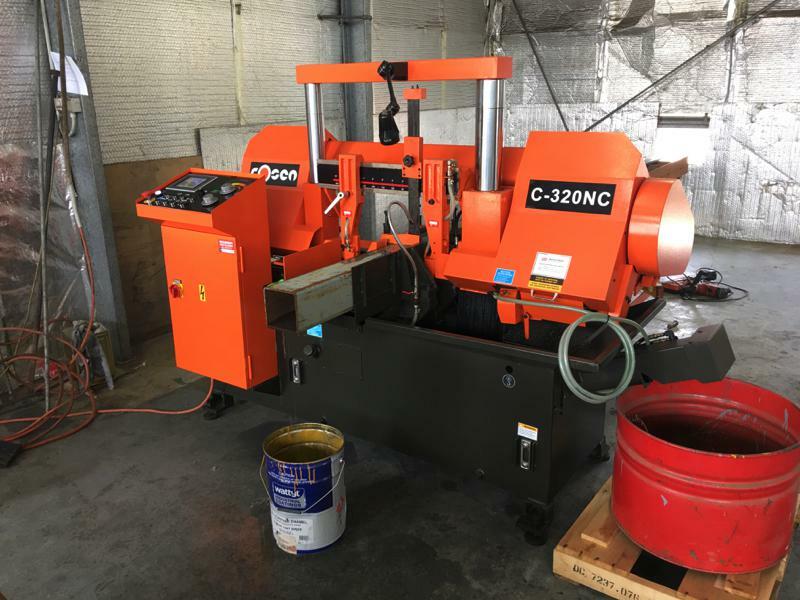 Last week we installed Cosen C-320NC fully automatic twin column bandsaw to one of inner-north Adelaide most well known metal fabricators. The new saw will allow this fabricator to cut multiple pieces at once and improve their overall metal cutting process by 40%. Many saws in stock. Call for full details 1300 797 720 or come into the showroom for a demonstration.